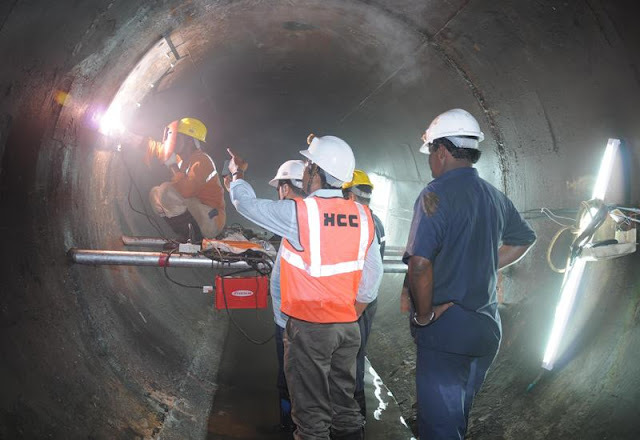 Company Profile : Hindustan Construction Company (HCC) is headquartered in Mumbai, India. HCC's businesses span the sectors of Engineering & Construction, Real Estate, Infrastructure, Urban development & Management. The HCC group of companies comprises HCC Ltd., and its subsidiaries HCC Real Estate Ltd, HCC Infrastructure Co. Ltd, Lavasa Corporation Ltd, Steiner AG in Switzerland and Highbar Technologies Ltd.Founded by Industrialist Seth Walchand Hirachand in 1926, HCC Ltd. executes large-scale civil engineering and infrastructure projects such as hydel power plants, nuclear power plants, expressways and highways, tunnels and bridges. HCC currently serves the infrastructure sectors of transportation, power and water. HCC was the first construction company in India to be certified for ISO 9001, ISO 14001 and OHSAS 18001 for its quality, environmental and occupational health and safety management systems. The company is headed by Ajit Gulabchand, Chairman and Managing Director. Required Skills : Good Communication and Presentation Skills, Good Technical Knowledge. Last Date To Apply : As soon as Possible. Maintain all records for design & drawings. Follow-up with consultants for design submissions. Working out BOQ, compare tender & design quantities. Design Coordination for EPC projects & Coordination with EM & HM vendor. Ensure design submissions as per schedule. Carry out designs for hydro structures.